Discussion in 'POTW Collaboration' started by Serebii, Jan 6, 2019. Time for the next Pokémon of the Week. Shuckle gained a very fun trick in Alola with the addition of Z-Moves. Z-Power Trick for Trick Room. 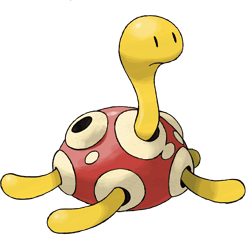 Z-Power Trick Shuckle, one of the most devastating Trick Room attackers in the doubles format. The idea is simple. Set up Z-Power Trick while the partner sets up Trick Room. Then, once Trick Room is up attack with a lot of power. Rock Slide is a given with STAB, not hitting the partner, and a lot of flinching with Shuckle being the slowest pokémon in the game. Earthquake is an option to get good coverage against most opponents that resist Rock Slide (like Steel types), although it does hit Shuckle's partner. Struggle Bug is an option in the opening if you want to stall out Fake Out and lower enemy offensive power, although it is expendable. Protect is valuable in doubles, but especially on Shuckle which is vulnerable to physical hits after Power Trick. A Relaxed nature with maximum physical defence investment ensures Shuckle hits as hard as possible after Power Trick. Max HP investment is vital on any Shuckle to boost its otherwise pitiful HP and give it a big boost to its bulk. Due to rounding, the Speed IV can be anything from 0 to 3 and result in a ridiculously low speed stat of 9 at level 50. The small range of Speed IVs possible makes it a bit easier to breed for this. Contrary is the ability of choice as it allows Shuckle to benefit from enemy Intimidates which are common, boosting its attack stat. Even if it is hit by Icy Wind, Shuckle is so slow that it'll still be slower than minimum speed Stakataka at +1, so it'll still most likely be the slowest thing around. Contrary does not affect the +1 attack boost granted from Z-Power Trick, that stays a boost. Using a Z-Move for Power Trick has several benefits. It boosts Shuckle's attack more than a Life Orb would and allows Shuckle to set up Power Trick even when Taunted. It also prevents Whimsicott from Encoring it into Power Trick, as Encore fails if the last move of the target was a Z-Move. Male Meowstic has Prankster, and can use both Quick Guard and Charm. With Prankster Quick Guard Meowstic can block any attack in the +3 priority bracket regardless of speed stats and/or the presence of Trick Room (most notably Fake Out, but also Comfey's Draining Kiss and Giga Drain), which other Quick Guard users cannot do. Prankster Charm allows Meowstic to give a boost to Shuckle right after it sets up, before it attacks, allowing Shuckle to go to +3 attack (775 attack at level 50 under Power Trick), or +4 attack in case of enemy Intimidate (930 attack at level 50), giving it ridiculous offensive power that sweeps games. Even in the presence of Psychic Terrain due to the common Tapu Lele, Meowstic can still Charm Shuckle since Psychic Terrain does not block priority moves aimed at allies. Oranguru has Telepathy, allowing it to dodge Shuckle's Earthquakes. Oranguru can also block priority if you give it Psychic Terrain, and it can amplify Shuckle's destruction with Instruct. Cresselia has Levitate, allowing it to dodge Shuckle's Earthquakes. Cresselia also has a lot of bulk and can somewhat amplify Shuckle's power with Helping Hand, although it has to rely on Ally Switch to help Shuckle dodge priority attacks. Mesprit is an odd choice, but it has Levitate like Cresselia, can also Ally Switch, and gets Charm to boost Shuckle's power, although under Trick Room it will move after Shuckle (unlike Meowstic). Xatu is in a similar boat to Mesprit, although it trades a bit of Mesprit's bulk for immunity to status moves like Taunt thanks to Magic Bounce. Xatu gets Feather Dance instead of Charm, which does the same thing. Gothitelle is also an odd one. Although not immune to Earthquake, it does trap enemies, has acceptable bulk, and has access to Play Nice. Play Nice is a neat little trick that can boost Shuckle's attack stat while Shuckle uses Protect. 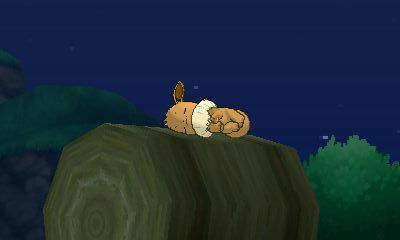 Audino can also do this, although it lacks the trapping element Gothitelle has. Bug Bite is a better option as a Bug STAB compared to Struggle Bug. Bug Bite actually benefits from Power Trick. However, Struggle Bug is better if you are using it strictly for its Special Attack down effect. True, but once Power Trick has hit you'll generally want to spam spread moves, not single-target moves as Shuckle is so incredibly frail on the physical side. It can take some weak resisted physical hits like Arcanine's Extreme Speed although even those do significant damage, and it won't be able to if it already took damage on the setup turn. You just want to use spread moves to eliminate everything on the enemy side quickly and give them no chance to strike back. Struggle Bug is purely there for its Sp.Atk lowering effect, and a way to stall out an enemy Fake Out turn. It is already very niche in its own way, Protect + Earthquake + Rock Slide + Power Trick is the most reliable way to run it. Shuckle has the unique distinction of being the Pokemon with the highest base defense and special defense trumping even legendary Pokemon. Sadly it's incredible poor HP keeps it from becoming an invincible wall to direct attacks. GameFreak was since tried on other occasions to make the perfect defensive Pokemon with a mix of failures and success such as Bastiodon, Mandibuzz, Carbink, Toxapex, and even Pyukumuku. That said, the original defensive wall still has a few tricks up it's sleeve. Shell Smash is still the best boosting move in the game, and Shuckle is able to make use of it in an unconventional way. With it's hidden ability Contrary, Shell Smash boosts Shuckle's insane defense and special defense to even more insane levels effectively becoming the equivalent of Cosmic Power. This comes at the expense of sharply lowering it's attack, special attack, and speed, but let's be honest, Shuckle is never going to be an offensive powerhouse or speed demon outside of risking Power Trick sets with Trick Room support. Toxic is the moldy bread and expired butter for any decent defensive Pokemon allowing Shuckle to actually inflict damage over time while it is taking hits. Infestation may have absolutely pathetic damage, especially when factoring in Shuckle's non-existent attack which is further hampered by Contrary Shell Smash, but it offers additional whittling away of the opponents HP each turn, blocks the opposition from switching in a counter while Shuckle is being passive, and has the benefit of not being shutdown by Taunt unlike Toxic. The final slot goes to Rest which is unfortunately the only recovery move Shuckle has access to. Infestation helps to mitigate the drawback and keep the opposition from switching a counter during the two turns of sleep, but you can opt to swap out Leftovers for a Chesto Berry to net a free one time heal until your defenses are boosted high enough. This set has the advantage of weakening the opponent while also powering up Shuckle. The boost won’t be as large as a Power Trick set, but it doesn’t completely destroy Shuckle’s Defense as part of the strategy. Rock Slide provides a primary STAB while Bug Bite provides a secondary one, while also allowing you to interfere with the opponent’s strategy if they are using a berry. Earthquake provides coverage and Shuckle’s Speed makes its Gyro Ball even more powerful. Both Sturdy and Leftovers add to Shuckle’s walling abilities by keeping it healthy and protecting it from an OHKO. Alternatively, an Iron Ball makes Shuckle move even faster in Trick Room while further powering up Gyro Ball. One thing I would like to add. As mentioned above, Shell Smash + Contrary is great at raising Shuckle’s absurd defenses even higher. Since it will almost always be used in Trick Room, the 2 stage Speed decrease is more helpful than hurtful. Shuckle, the premier defensive pokémon. Many trainer's first encounter with Shuckle is as a gift from a trainer who had his Sneasel stolen from him and wanted to give the Shuckle away, so it wouldn't be stolen. That logic seems somewhat faulty and makes me think he was sick of his Shuckle and wanted to foist it off on someone. His loss. While Shuckle won't be killing anything quickly without Power Trick, it has plenty of Valuable tricks in its bag to make your opponent's life difficult. Simple Shuckle setup supporting strategy through sabotage. Sticky Web and Stealth Rock are two fantastic entry hazards that will slow down and wound pretty much anything that comes in, greatly easing a sweeper's job. Sturdy and Custap Berry ensure that outside of Taunt, Shuckle will get both hazards up. Or if you are feeling confident in Shuckle's defenses, you could go for the more reliable Contrary and Leftovers. Last moves are up to preference. Toxic is Shuckle's main method of dealing damage and ensures its not an automatic lose con if it is your last Pokémon. Encore locks an opponent into their current move, ensuring a free switch for Shuckle. Both moves combo well with Infestation, either for the damage over time, or ensuring you know what your opponent will do for their next turn. Blissey's face is the face of horror that many Frontier Fans had going unprepared against Lucy's long and grueling battle. 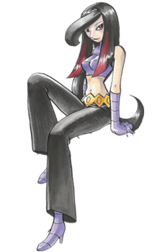 Background Information - Pike Queen Lucy's most terrifying team member that left many Battle Frontier Fans with nightmares. Arguably Shuckle's most famous appearance is a member of Pike Queen Lucy's team of the Battle Frontier and is an ABSOLUTE NIGHTMARE for those who don't finish Shuckle off quickly with a water-type. Those who find themselves unprepared or lucked out in the Battle Pike could find themselves annoyingly and slowly beaten to death to the power of Shuckle's merciless toxic-n-stall-n-double-team-n-sandstorm tactic! To this day many Frontier Fans have spoke horror stories about the mighty Shuckle that Lucy wields and surprise surprise in Pokemon Adventures Emerald Arc, Lucy actually uses pretty much the same dreaded toxic-n-stall tactics in the manga in her battle against challenger Emerald and it is just as frighteningly effective there as it is in the Battle Frontier. The manga is able to capture the dreaded terror that is Shuckle and you can clearly see it in the Pokemon's faces that Shuckle ain't messing around. Other than that, Shuckle's appearances in the anime are mostly minor and have never appeared on Lucy's team. However as a kid, I do remember the time of seeing a shiny Blue Shuckle, one that can produce a particular type of medicine which I always thought was neat. Anyways, let's get started. Shuckle is an extremely versatile Pokemon defensively. The three first moves are practically a must-have on any defensive Shuckle set, the fourth move slot serving as the freedom of a bunch of variety of deadly moves for different situations. Infestation to trap Pokemon who aren't very effective against Shuckle, Bug Bite to remove a berry like Snorlax for example, Rest to quickly heal yourself and perhaps paired with another item and finally Encore which is also an extra annoying move that leaves Pokemon trapped in a particular move, great for trapping Pokemon attempting to setup such as raise their offense against Shuckle. Finally there's Shell Smash which is recommended only through contrary as it raises both Shuckle's defenses by one, truly an annoying tool destined for Shuckle. Shuckle is capable of being an offensive Pokemon in Doubles. Singles is possible but takes more time under Trick Room which is a must-have for this kind of set. Power Trick Shuckle essentially switches the attack and defense making Shuckle having legendary offensive power but extremely weak defense, kind of like an awful Mega Beedrill that's only good in Trick Room. For the most part the rest of the moves are type coverage but one may want to consider Stealth Rocks into the mix due to Shuckle's suicide sweeping potential, able to force the enemy team to switch-out or replace KO'd Pokemon with others, leading them to Stealth Rocks damage. Rest is however far more situational given Shuckle's Power Trick circumstances. However one thing that really needs to be dicussed his items. Mental Herb is a great defensive option against one of the most common annoying stalling moves, Taunt. There is also the item Psychium Z which gives Shuckle Z-Power Trick, giving him an offensive option over a defensive one as it raises it's attack by one. Similar to Pike Queen Lucy's set, there's a lot of options to go with this set. Shuckle brings back "Wrap" nightmare fuel. The opponent demands to switch-in to Starmie against Shuckle and you the player say... "NO." with a troll face. This is probably the closest you'll ever get to bringing back the old annoying days of "wrap" from Gen 1 through Shuckle at it's most viable however it must be taken note that is not really a competitive set but more of a gimmicky one. Seriously, don't run Rest on Power Trick Shuckle. Power Trick Shuckle has no physical defence once it sets up, almost any physical attack takes it out in one hit. Rest leaves you a sitting duck allowing your enemy to switch to a physical attacker, set up, and then attack before you even wake up, not to mention it wastes almost all of your Trick Room turns. Also, only run it in doubles. If you run it in singles, not only do you not have sufficient Trick Room turns to really do much (set up Trick Room, switch, set up Power Trick, and you only have two more turns left), you also can't set up as easily because if Trick Room is already up, Shuckle will use Power Trick at the start of the turn, leaving it wide open to physical attacks for the rest of the turn. Doubles allows Shuckle to set up while the partner sets up Trick Room, or allows it to Protect after setting up Power Trick while the partner sets up Trick Room, and in doubles Shuckle has a partner to support it, keep it somewhat safe from priority (most priority moves are physical and thus very dangerous), and/or boost its offensive might. There is also little reason to go for Mental Herb over Psychium Z on Power Trick Shuckle. Both allow you to set up Power Trick when the opponent tries to Taunt you, but only Psychium Z also gives you the Encore immunity afterwards, Psychium Z can't be Knocked Off, and Psychium Z gives you +1 in your attack. And because Shuckle is such a glass cannon and Rock Slide doesn't have the greatest base power it needs all the power it can get. Only if you really want to run a Z-Move on another pokémon in your team it's somewhat worth consideration. It's why I put Meowstic and Oranguru at the top of my recommendations too. Power Trick Shuckle usually needs to get to +2 attack to really get into a lot of OHKO ranges with Rock Slide, simply because the base power of Rock Slide is low, and Meowstic and Oranguru grant it that extra damage potential in their own ways. Rest in general is no longer the solid recovery move it once was (although it was always kind of gimmicky on Shuckle). Tapu Koko and Tapu Fini are very common nowadays and if their terrains are active you simply can't Rest. If you want to last a bit longer on a defensive support set, just run Gluttony with Iapapa Berry or something, don't waste time with Rest which allows the enemy several free turns if Shuckle does go to sleep. I'd say Rest is only viable in doubles if you have partners that remove Misty or Electric Terrain like Tapu Bulu or Tapu Lele, and also a partner that removes sleep status like a cleric or Purify Pyukumuku, and even then only on defensive support sets. Shuckle is bulky enough to take a couple of hits so that Sturdy is generally redundant, but it can't take repeated super effective hits all that well, it can't wall for extended periods of time and needs to get its job done in a couple of turns. Seriously, don't run Rest on Power Trick Shuckle. Power Trick Shuckle has no physical defence once it sets up, almost any physical attack takes it out in one hit. Rest leaves you a sitting duck allowing your enemy to switch to a physical attacker, set up, and then attack before you even wake up, not to mention it wastes almost all of your Trick Room turns. Also, only run it in doubles. If you run it in singles, not only do you not have sufficient Trick Room turns to really do much (set up Trick Room, switch, set up Power Trick, and you only have two more turns left), you also can't set up as easily because if Trick Room is already up, Shuckle will use Power Trick at the start of the turn, leaving it wide open to physical attacks for the rest of the turn. Doubles allows Shuckle to set up while the partner sets up Trick Room, or allows it to Protect after setting up Power Trick while the partner sets up Trick Room, and in doubles Shuckle has a partner to support it, keep it somewhat safe from priority, and/or boost its offensive might. Rest in general is no longer the solid recovery move it once was (although it was always kind of gimmicky on Shuckle). Tapu Koko and Tapu Fini are very common nowadays and if their terrains are active you simply can't Rest. If you want to last a bit longer on a defensive support set, just run Gluttony with Iapapa Berry or something, don't waste time with Rest that the which allows the enemy several free turns if Shuckle does go to sleep. I'd say Rest is only viable enemy can simply negate once they figure that out by switching in Tapu Koko or Tapu Fini, or in doubles if you have partners that remove Misty or Electric Terrain like Tapu Bulu or Tapu Lele, and also a partner that removes sleep status like a cleric or Purify Pyukumuku, and even then only on defensive support sets. Shuckle is bulky enough to take a couple of hits so that Sturdy is generally redundant, but it can't take repeated super effective hits all that well, it can't wall for extended periods of time and needs to get its job done in a couple of turns. Kind of suspected as much. I only added it because not many recovery moves come to mind for Shuckle although I'm starting to notice more that Rest is becoming more of a gimmick because of Tapu Koko. On a different note, for those who've already finished making their sets. Who else remembers Pike Queen Lucy's team lol. That's like the "Miltank" for first-time competitive players. I remember it, never had any trouble with it as I usually ran Metagross there, and Metagross lols at Toxic and just destroys it with Meteor Mash. Lack of reliable recovery effectively kills Shuckle as a lasting wall, it just can't wall in a way that pokémon like Chansey, Gliscor, or Toxapex can do it. Shuckle has a lot of supportive options and needs to be used in that way instead, taking the handful of turns it has on the battle to set up hazards, disrupt enemies with moves like Encore (more effective in Trick Room), trap them, reduce enemy power with Struggle Bug (better for doubles), or set up defensive power on partners with Guard Split, especially effective on pokémon with a lot of HP like Snorlax. I suppose it would be fairly OP if it had better recovery. Interesting fact about Shuckle but I'm guessing you already know this since you seem to be here longer. Shuckle can create rare candies from it's body in Gen 2 if it holds a berry. Now we know where Rare Candies come from! I thought it was Berry Juice it made. Also don't think it'd really be OP. In terms of raw bulk it's less bulky than for instance Eviolite Porygon2, and that has reliable recovery. Shuckle's low HP stat causes it to not be as bulky in practice as its defences make it seem. It'd probably make it grow in viability though. I thought it was Berry Juice it made. Also don't think it'd really be OP. In terms of raw bulk it's less bulky than for instance Eviolite Porygon2, and that has reliable recovery. It'd probably make it grow in viability though. I believe it was a berry than berry juice and then Rare Candy. I see '7' suggested Set here, but only '1' in the main article? (that too only for singles, and not for doubles). Yeah, it appears as if they don't have anyone who writes doubles sets at times. Would be nice if they let us know in advance tbh, kind of a waste to talk about doubles sets here if they can't use them anyway.